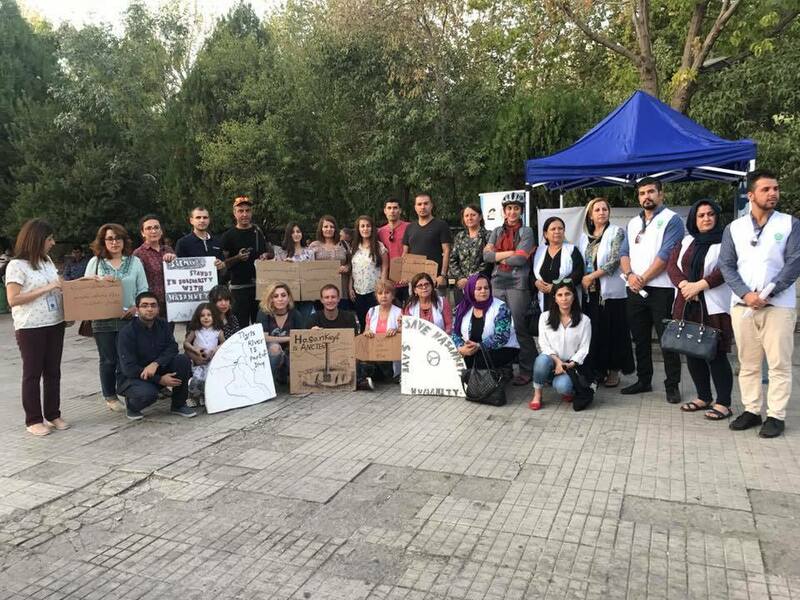 [:en]In more than 15 cities across the world on the Global Action Day for Hasankeyf on 23 September actions were organized to protest against Ilisu Dam, the controversial dam being built on the Tigris River with disastrous consequences for the ancient town of Hasankeyf. Earlier this year in the town the Zeynel Bey Tomb and other monuments were relocated and several weeks ago the demolition of the castle rock of Hasankeyf started with no legal permission, while the people of the town will all be displaced. To show their support, the Save the Tigris and Iraqi Marshes Campaign organized 3 solidarity actions: in Baghdad, Najaf and Sulaymaniyah. Iraq will suffer a heavy impact of the dam. The Tigris River is a source of drinking water and agriculture but when Ilisu Dam is in operation the river is set to receive as much as 40% less water in Iraq. In Baghdad. In Baghdad, the campaign spread information about the value of Hasankeyf and the trans-national impacts of Ilisu Dam among people in Al-Mutanabi Street. 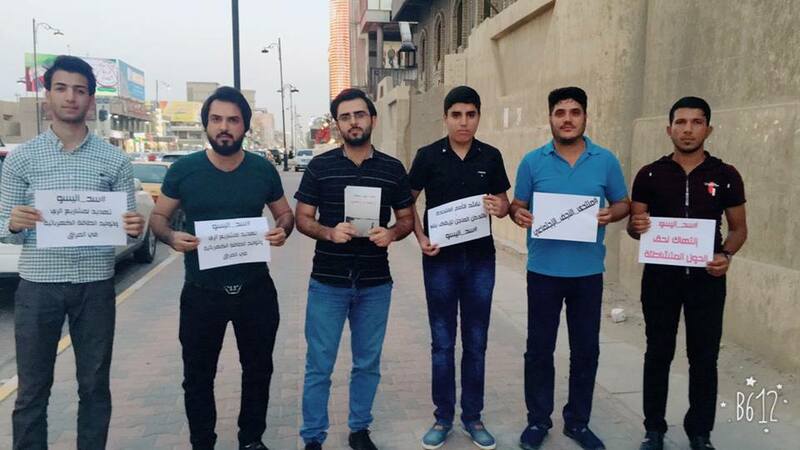 In Najaf, the local Social Forum, took part in the global solidarity action. The city is located at the Euphrates River, which has seen its share of water flows vastly decreased since Turkey and Syria built a series of dams in the 1990s. 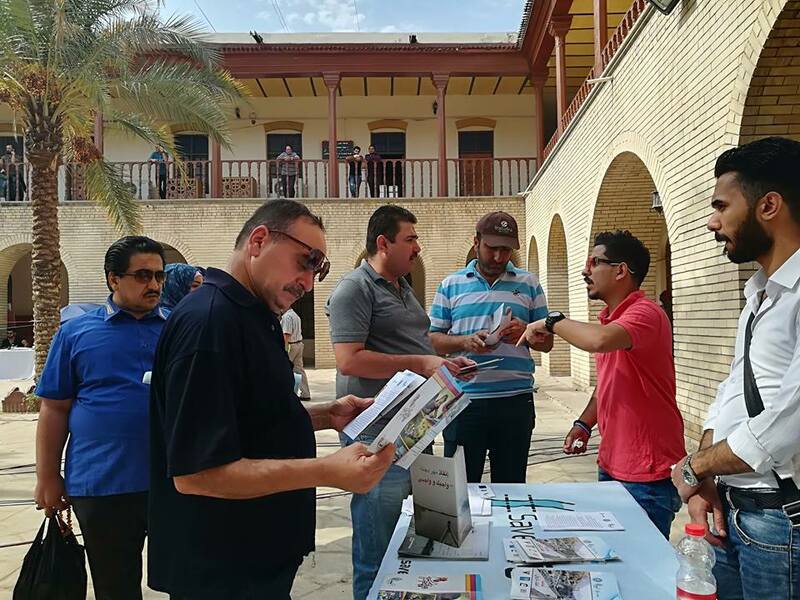 Meanwhile in the Kurdistan Region of Iraq, together with Waterkeepers Iraq, the Save the Tigris Campaign set up a booth in Salim Street in Slemani where people received brochures and papers about Hasankeyf. Many people expressed their support against Ilisu Dam. According to the Turkish government the dam is nearing completion, but according to activists it is not too late to propose an alternative to develop the region. This action day targeted specifically the governments and companies involved in the construction of the Dam (Andritz) and relocation of heritage (Bresser). Hasankeyf is of exceptional historical and ecological value and must not be lost. Visit the website of Initiative to Keep Hasankeyf for more information about the Action Day. 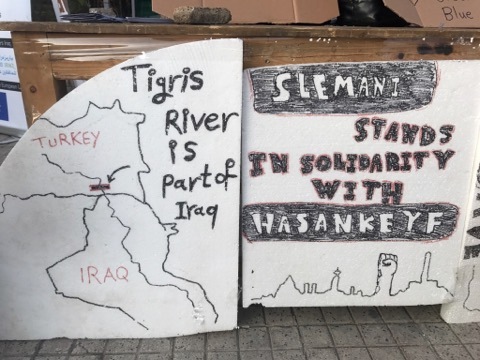 Global Day of Action for Hasankeyf in Slemani. Global Day of Action for Hasankeyf in Baghdad. Global Day of Action for Hasankeyf in Najaf.